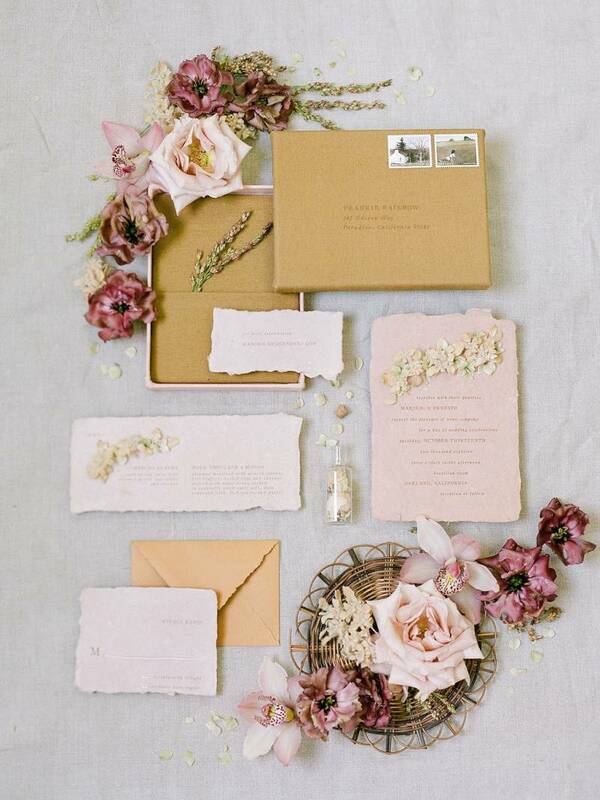 We are being treated to a vision of loveliness today with this feminine inspiration by JENNY SOI. A modern take on Filipino heritage along with the influence of a grandmother’s unconditional love was the inspiration behind the design of this styled shoot by APRIL BAYTAN DESIGNS. From the fine crafted handmade flowers on paper goods by THE IDEA EMPORIUM with romantic calligraphy by POPPY LETTERING & DESIGN, to the wood grained details on bountiful strands of SILK & WILLOW ribbon, chargers, and wood and woven furnishings by FOUND RENTALS; everything showcased different textures and dimension inspired by something very personal. 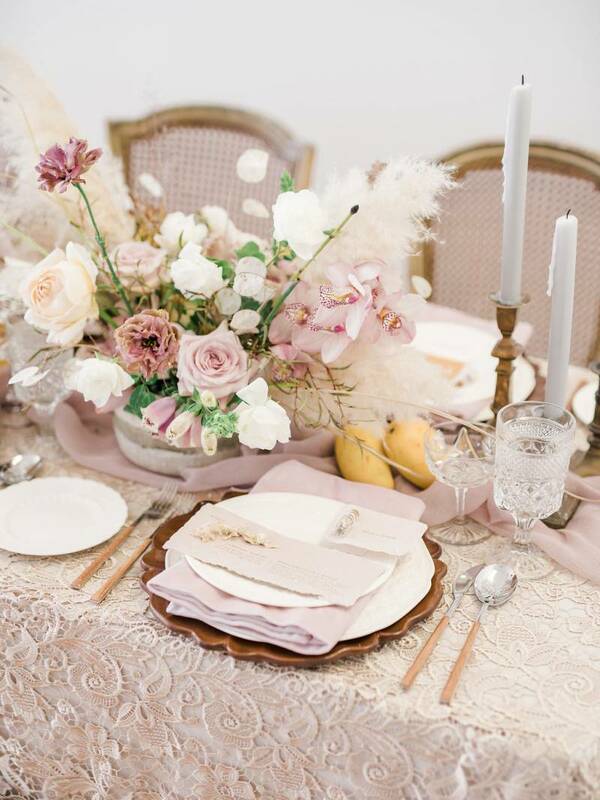 April tells us; "Similar to traditional Filipino attire, a handkerchief heirloom, and embroidered La Tavola linen draped a neutral tablescape complimenting an elegant Idan Cohen gown made of tulle, lace, and floral appliques provided by Kinsley James Couture Bridal. Textural floral ingredients were used abundantly not only in the whimsical cake by Pretty Please SF, but also the overall floral design. Numerous grasses, tropical blooms, and dried lunaria appeared planted in stone like vessels transporting us to the beautiful landscape of the Philippine Islands with details reminiscent of nipa huts, sandy beaches and capiz shells. Every last detail told a meaningful story filled with personal touches resulting in an authentic gallery of beautiful images that warmed the heart."